This post is dedicated to my baby brother, Brady. He had one favorite meal while we were growing up and it was my mom's Roasted Barbeque Chicken. We could count on this meal for every one of his birthday's or any special 'Brady' day. I hadn't thought about it for years. In fact I don't think I'd ever made it, since living on my own...and that's been a long time. But for some odd reason I found myself thinking about this chicken recipe a few weeks ago. I remembered really liking it as well. So I thought I'd give it a try. I wasn't sure if I would love it as much as the memory...but sure enough, I did! And so did my family. My mom always used a whole fryer chicken, but we're not lovers of dark meat, so I used whole chicken breasts. It worked the same. If you want some dark meat, but don't want to use a whole chicken, you can use a mixture of whole chicken pieces. You absolutely must use bone-in, skin-on chicken. It's the mixture of the BBQ sauce with the chicken drippings that make up the amazing sauce. You can use any recipe for BBQ sauce that you would like. My favorite is this one. But honestly for a quick and easy meal, a bottle of your favorite store bought brand works great. 1. 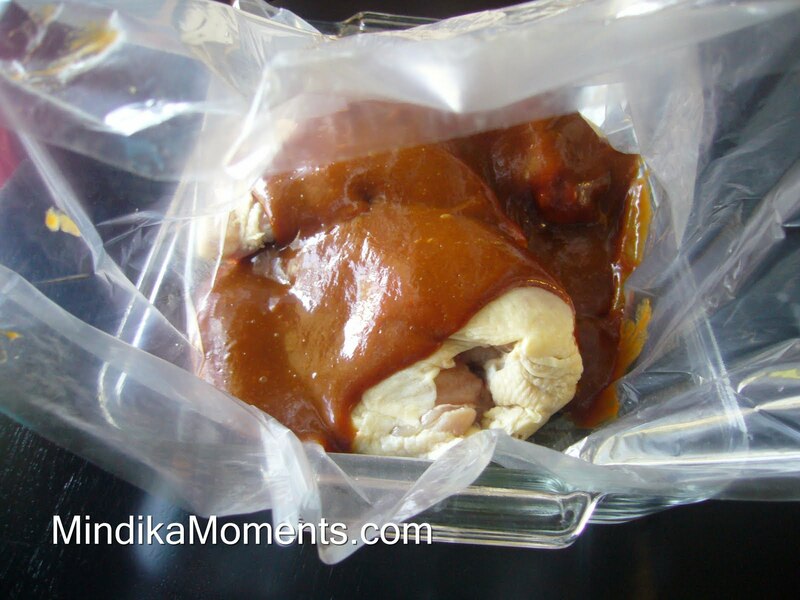 Take a large chicken roasting bag and place it in a 9x13 (or larger) pan. 2. Rinse and dry your chicken pieces or whole chicken. 3. Place your chicken pieces or whole chicken into the roasting bag, as seen above. 4. Pour the BBQ sauce over all the chicken evenly. 5. 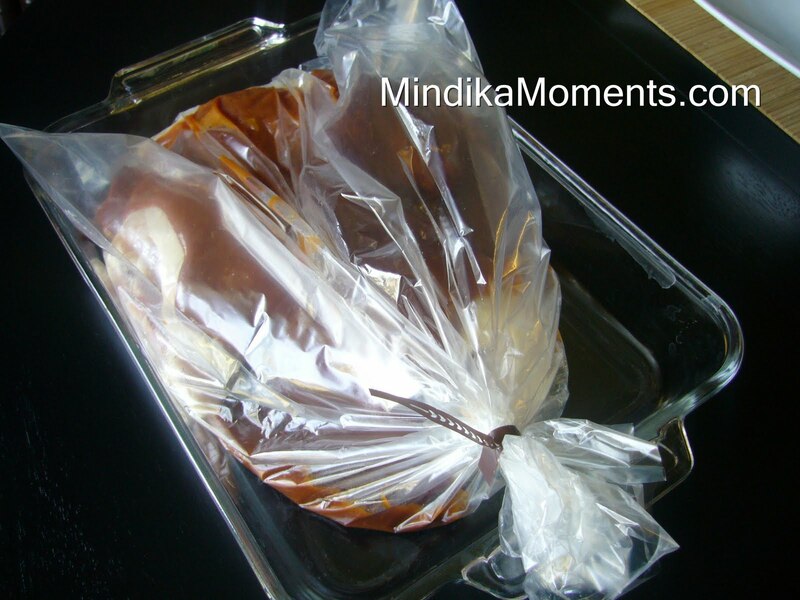 Seal the bag and place in a 375 degree oven for 45-60 minutes or until the chicken is golden brown. 6. 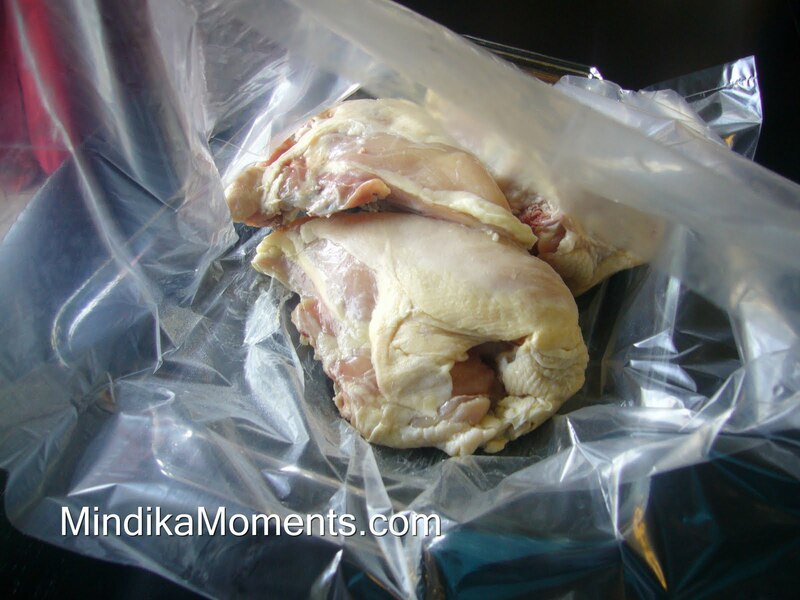 When the chicken is done, remove it from the oven, open the bag and remove the chicken. 7. Drain all the juice that has collected in the bag, into a serving bowl. Stir well. 8. Take the chicken and remove it from the bone, discard all the skin and bones. Shred the chicken. 9. 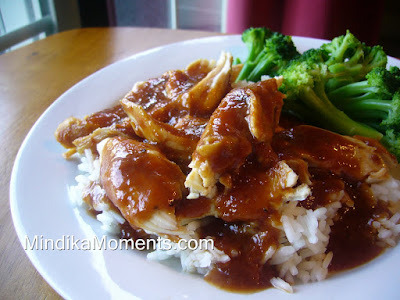 Serve the chicken over rice, topping with the BBQ sauce.